If you never have trouble going to sleep, this post is not for you. This post is for friends and strangers who have trouble letting go of consciousness – who find sleep elusive – or who wake up in the middle of the night in the clutches of anxiety, wide-eyed – or face morning in a weary state, due to insomnia. The treatment I propose cure costs nothing to try, and I will exact no future royalties, if you need help losing yourself in sleep, for whatever reason, what have you got to lose? First, a little background: Warm milk? Maybe, if it works for you, but the most obvious way for me, a reader, to get to sleep is to read myself into oblivion, and it usually works. That is, it works unless the story is too exciting, and I have been known, on occasion, to stay up all night over a book rather than fall asleep. That’s a potential problem. Another is the necessity, brief though it is, of rousing myself from the desired drowsy state to turn out my reading light. We sleep with our eyes closed. Open eyes, then, are not the intuitive way to court sleep. My ideal is to have my sweetheart read me to sleep or tell me a story until I drift off. Snuggling is a nice bonus to this method. “Tell me about when you were a little boy in Detroit” is my first ploy, but I usually have to prime the pump by asking more specific questions about that Detroit neighborhood and its characters. But maybe you’re alone. Or maybe your bed partner isn’t in the mood to tell you a story or read to you or is already asleep. Sometimes self-care is not just an option but a necessity. And here’s where my free, bookish sleeplessness cure comes to the rescue. If any of my blog readers are not book readers, however, fear not. I have a non-reading variation for you. Get as comfortable as you possibly can. Close your eyes, snuggle down in the dark, well under the covers, and tell yourself a story from a book you’ve read, either one you’ve been reading recently or a familiar book re-read many times. You know the story: someone else wrote it, and you read it, so start on the first page and picture the opening sentences. Picture the scene as well. What is the setting? Who was there? What happened? See it all, in as much detail as possible, and recall, in paraphrase, the sentences from the story’s first pages. If the story you choose is a book you’ve read over and over, you may see the book’s pages vividly in your mind, and that can work for you. In which paragraph, for instance, on which side of the book, does his father tell Marcel of the plan to travel to Italy in the spring? What are the boy’s associations with the various Italian towns? Picture the pages, and recreate the movement of their lines, as well as the movement of the story, in your mind. If instead you choose a book you’ve been reading for the first time, you’ll be strengthening your memory of the story as you rehearse your initial reading, retelling the story to yourself in the dark. Maybe you’ve only read a few chapters of the book so far, but that’s no problem. Start with the first action scene. The horses are toiling up the hill, the passengers trudging along beside the carriage in the dark. Who are the characters in the scene? What happens? The first important feature of this way of inducing sleep is that the destination (sleep) is not the end (of the story). You don’t want to reach the end. You want to fall asleep long before the end. So include as much detail as you can recall, and if you realize you’ve skipped over something, go back and pick up the story with the skipped passage, retracing your mental steps. Should you reach the end (I never do), simply begin again at the beginning or start with a different story. My suggested alternative for non-readers – or those who want a change from reading -- is to take a walk or a drive. Either one, but take it in your mind, with your eyes closed, in the dark, under the covers. Choose a walk or a drive that is familiar, interesting, beautiful if possible but definitely peaceful. Walking to school, long ago, might be a pleasant memory exercise, but if your walk to grade school was made fearsome by bullies, don’t take that walk! My drive to work is heavenly, but if yours is a stressful commute, don’t take that drive! What you want to do is slow down your mind, take yourself somewhere peaceful, and take in the sights along the way as if you have all the time in the world. Time is not of the essence. You are in no hurry. Picture as much detail as you can recall and see the trees and houses along the way, the dips and curves in the road. Is there a dog that always barks at a certain point? A place where roses bloom? Busy intersections to cross? Familiar faces and billboards along the way? See it all, beginning with walking out the door. I’ll be honest. There are times I envy retired friends with all their leisure time to travel, to socialize, to hike and garden and volunteer and keep their houses clean and host dinner parties. It isn’t that I can’t do all those things, but every single one of us is limited to 24 hours in a day, a third of those hours (for those not Twitter-addicted) pass in sleep, and, even awake, I don't have the energy or stamina I had a couple of decades ago. When I read my farming magazines, I daydream about spending entire days out in the field but then wonder how soon and how often I would need to take work breaks—not being the spring chicken I was when Dog Ears Books was a pup, back in 1993. A spring thaw, however, brings fresh energy, in the bookstore as well as outdoors. My friend Sarah Shoemaker’s novel, Mr. Rochester, is due out on May 9, and we’ll be having a party! A posthumous collection of food essays by Jim Harrison is here now, and Jamie Harrison, Jim’s daughter, has a new novel coming out in June. The author of a new work on John James Audubon, Gregory Nobles, will be here to do a summer presentation at the bookstore. Exciting plans put new life into an old dog. Besides plans, bookstore life also brings surprises, almost every day, and this quiet, rainy March Friday was no exception. There were visits with friends, bookstore newcomers from Traverse City and Lake Ann, and a beautiful bouquet of birthday flowers, arriving a week early from dear friends in Pennsylvania. Where else would I rather have been today? It has been a good day in Northport and a very cheery day in my bookstore! What Does It Take to Crack Open a Heart? Some people, it seems, grow older without much change. With an unchanging personality, there is no epiphany along the way. Others change by hardening up and growing a shell. Chuck Collins belongs in neither group. His heart has been cracked open more than once, and new growth results every time. Born on Third Base is much more than his personal life story—we don’t even get his whole life story, but that’s all right. Chuck’s raison d’être has become working to reduce wealth inequality in America, and he makes his case in this book. At age 26, Collins made the decision to give away his inheritance but acknowledges that he still had the advantages of American citizenship, education, freedom from debt, white privilege, and a supportive family. Touring the country in 2003 with billionaire Bill Gates to clarify the federal estate tax and why the wealthy should pay it gratefully, Collins and Gates told their audiences that even first-generation American entrepreneurs are not “self-made” because they had the benefits of our economic system, laws, roads, other transportation and communication systems, education systems, public libraries, and public investment in new technology. Collins gives the key moment of one talk to Gates, who spins a tale in which God’s heavenly treasury is running low, and She [this is the way Gates told the story; I am not editorializing] came up with a plan: the next two spirits to be born could bid on the country in which they would be born. The winner of the auction would be born in the United States, the loser “in an impoverished nation in the global south.” Gates then asked the audience what is had been worth, to them, to be born in the United States—and, so, how much of their net worth they were willing to pledge to leave behind for the common good. Paying the estate tax (which applies only to households with wealth of $10.8 million and so has little or nothing to do with small family farms, though lobbyists and advertising against the tax would have the public believe otherwise), Collins and Gates proposed to their audiences, is a way of showing gratitude for social benefits received. It is a way to pass benefits they received along to future generations. But this is a book for every American, rich or poor, influential or left behind, for a couple of important reasons. First, one change of heart Collins had involved the language of class warfare, the “bottom-up antagonism expressed in rhetorical attacks against the rich....” He had used it himself in his early campaigns for social justice, but no one, Collins realized, likes to be hated, and hating the wealthy will never turn them into allies. So it’s a losing game. He goes further in the other direction. In the same way he invites the rich to get to know their financially less fortunate fellow citizens, Collins invites members of the “99 percent” to reach out to the wealthy—not with a hand out but with the empathy and respect every individual deserves. A lot of rich people, he says, are very isolated socially, and they, too, whether they should or not, have financial fears. Empathy is a theme that runs through every chapter of the book. Second, this is not just another book telling you what’s wrong in our country and the world and how it got to be wrong, because another important theme is change. Collins tells stories, gives examples, and offers concrete, specific suggestions. If you’ve been downhearted lately about the unleashing, once again, of predatory, extractive capitalism, this is the book you need to read. You’ll find in it steps you can take, beyond protest, to help bring about the changes you want to see. Empathy and change. Change begins with empathy. We’re all in this together. Yes, we can!!! "Ten Years Came and Went"
My headline today is a quote from a Jim Harrison novel. David always gets a kick out of that line, the way Jim disposed so easily of an entire decade in the life of a character. In retrospect, though, a decade does pass quickly, and so, while my decennial year of blogging has not yet passed, it has arrived, rather unbelievably to me. Nine years came and went! 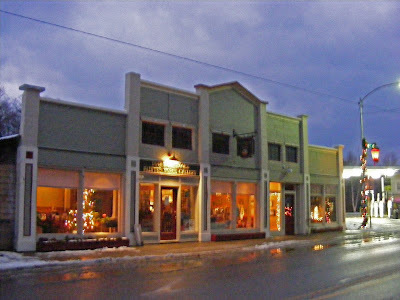 My first post on Books in Northport appeared in September 2007. I remember that easily, because David and I were “between dogs” at the time, and I have always measured my years at least in part in terms of dogs. Still, ten years??? Est-ce possible? It was brief, that first post, setting out my reasons for and intentions in creating a blog. Back then my biggest challenges, including figuring out how to upload photos, came from a slow dial-up connection: I would sit near the phone, plugged in, but always with a book close at hand, since there was plenty of reading time (the benefit of a slow connection!) while waiting for photos to upload, even after they had been, necessarily, reduced in size to make the uploading possible at all. Blogging opened to me the world of a Leland Township resident I hadn’t yet met in person at that time; introduced me to a young woman in China, a graduate student in French who blogged for years under the name “Neige”; and reconnected me to my dear, geographically distant friend Helen, with whom I’d lost contact for years. It also brought me new friends and readers from as far away as Idaho and the state of Washington and New South Wales, Australia, and, significantly, it brought writers Bonnie Jo Campbell and Benjamin Busch (his first visit, before his book was published, was a joint event with Anne Marie Oomen) to Northport. And this is only a sample, barely skimming the surface of connections made possible. In the beginning I tried to write a post every day. 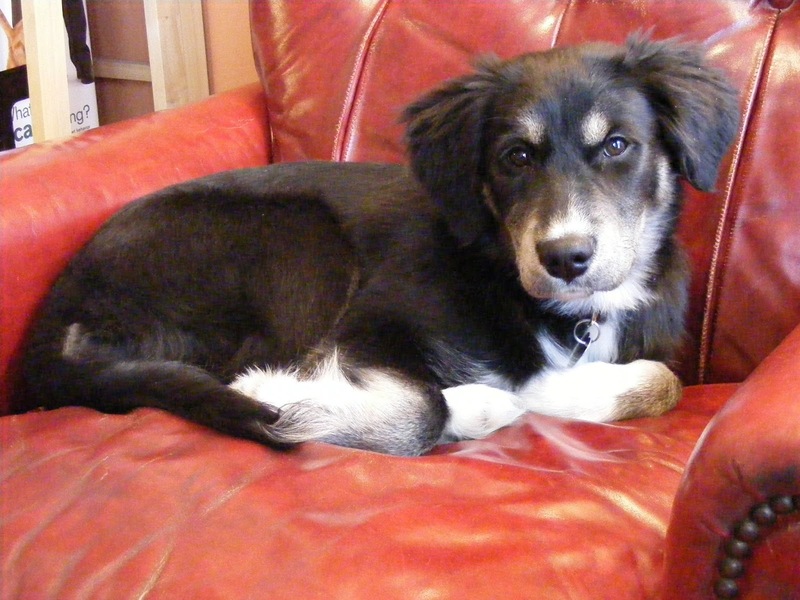 Many had nothing to do with books but dealt with goings-on in the village of Northport, Michigan, my country life, and soon, in early 2008, adventures with our new puppy, whose face is now grey, though she can still run and romp like a kid. Nowadays posting once or twice a week seems sufficient. I’ve also become more book-focused on this blog, giving quicker glimpses into specific books, usually new ones, on Northport Bookstore News and relegating other topics (well, usually!) to subsidiary blogs, primarily Lacking a Clear Focus (which runs the gamut from silly humor to raging rants) and From My Paris Kitchen (tiny farmhouse kitchen musings and fooling around). But Books in Northport is still my main effort. It’s the place online where my bookstore’s heart beats most strongly and where I hope readers from anywhere in the world can get some sense that they are visiting my bookshop on Waukazoo Street. The shop itself started down the block in a different Waukazoo Street location in 1993. Yes, Dog Ears Books will be 24 years old this summer, and Books in Northport will be 10 in the fall. 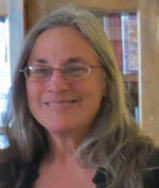 “I’m in it for the long haul,” I told a former landlord back in 1997, and so I have been, thanks to readers and customers and friends who love not only books but are also loyally devoted to bookstores. And so, old friends, thanks for sticking with me, and new readers, thanks for coming aboard. The future's not ours to see, but we're here now! In the classic English novel Jane Eyre, written in 1847 by Charlotte Brontë, we meet the protagonist narrator as a child on the book’s first page. Both her parents having died, she was taken in by an uncle, but when he also passed away, responsibility for the orphan girl had fallen to his widow, Jane’s aunt by marriage, who finds the child a terrible burden. Her three cousins bear her no love, either. The boy particularly delights in tormenting her, knowing his mother will always take his side. The resentful aunt unburdens herself by sending ten-year-old Jane away to a residential charity school. Lowood School is a harsh environment at first, and the girl has no vacations away from it, but she does make one close friend and finds a kind and sympathetic teacher. In time, life at the school improves. Eventually, at age 16, Jane becomes a teacher there herself. Having achieved through education the means to be independent—and longing for a world beyond Lowood, which is all the world she has known other than the home of her unloving aunt—at age 18 Jane advertises for a governess position with a private family. Her ad brings in a single response, and so Jane travels to Thornfield Hall for an interview and gets the job. After her first quiet, introductory weeks, the master returns to his residence. Life at Thornfield grows much more interesting! The master is, of course, the enigmatic Mr. Rochester, one of English literature’s most mysterious and compelling male characters. This is the story we all know. Jane and Rochester meet in the twelfth chapter of Jane Eyre, when he is 35 years old to her 18. So much for background. But what was Rochester’s life before Jane Eyre came along? How different was his childhood and youth from hers? Why did Jane appeal to him so strongly? What were his motives and inward thoughts and feelings as he fell in love with and courted the plain, solemn governess while concealing from her a prior, still-binding marriage? And what allowed him in the first place to think himself justified in locking his wife away, keeping her very existence hidden from the world? One reader, Sarah Shoemaker, kept asking herself, “What kind of man does such things?” Of all these matters, Charlotte Brontë has told us next to nothing, because her story all comes to us through the eyes and ears and from the heart of Jane, leaving Rochester a tantalizing mystery. 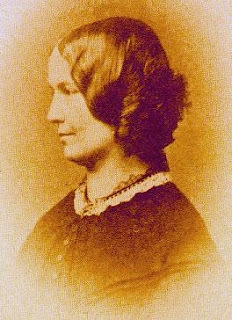 Shoemaker, however, probably because she is a writer as well as a reader, could not silence the questions in her mind. The mystery of Rochester’s earlier life would not let her go. And because she felt compelled to imagine a past for the man who, by the end of Charlotte Brontë’s book, finally marries the literary world’s beloved Jane Eyre, we now have a companion novel to the nineteenth-century classic. That is, we will have it very soon, for Sarah Shoemaker’s Mr. Rochester, from Grand Central Press in New York, is due for release this coming May 9. As Brontë did in giving us Jane Eyre’s childhood and girlhood, Shoemaker gives us Edward Rochester as a boy and young man. In the end we are brought to Brontë’s familiar conclusion but from a very different starting point and along a very different, much more exotic path of adventure and misadventure. We meet Jane first as a poor orphan, while Edward is to the manor born. But his mother is dead and his father so cold and so seldom at home that Edward’s boyhood is mostly solitary until he is sent away to school at the age of eight. Informed that he is to be sent away, rather than tutored at home as was his older brother, the boy is shocked. Schooling, however, turns out to be one of the happiest periods of Edward’s young life. The friends he makes in the course of his studies, the freedom the boys enjoy, and the eccentric teaching of their master, Mr. Lincoln, who loves maps and battle strategy, combine to make this part of Shoemaker’s story a sheer delight. Edward’s only sorrow while at Mr. Lincoln’s establishment is that, unlike the other boys, he never goes home over vacations. In that, his experience mirrors Jane’s at Lowood, although it is different in almost every other respect. Edward’s father has business interests in Jamaica and spends much of his time there, so it is not entirely surprising that the boy becomes obsessed with the island, anticipating the day he will join his father and brother there. “Jam,” the other boys and Mr. Lincoln take to calling him. (All the boys go by nicknames.) But when Edward leaves school, he is neither summoned home to Thornfield nor abroad to Jamaica: instead his father has arranged an apprenticeship for him in a mill where broadcloth is made. He is not to work on the floor himself but to learn the ways of the “counting house,” in preparation for his future. From there he goes off to university and earns a degree. --But don’t look for a spoiler here! I have no intention of detailing the Jamaica section, which sets the stage for so much of what follows. No, you must wait for the book to come out and read every word for yourself, but you wouldn’t have it any other way, would you? Then there are the years that Rochester leaves the running of his plantation to an estate manager and allows himself a licentious, rootless life in Europe. Again, details await your reading. The child Adèle, I’ll mention, Jane Eyre’s charge, is one consequence of the European sojourn. Another, planted in Jamaica and afterward expanded in Europe, is Rochester’s suspicious attitude toward women, his belief that they are not to be trusted. In Part Three we are on familiar ground, back at Thornfield Hall, where Jane is ensconced as governess to Adèle, and there unfold the events familiar to us from Jane Eyre--but different now, because we are seeing them through new eyes. In the older novel, we had access to Jane’s heart and saw the world through her eyes; in Sarah Shoemaker’s new novel, we see the world through the eyes of Rochester, and are privy to the secrets of his heart. I first read Mr. Rochester in manuscript almost three years ago, and before opening my advance reading copy this winter, I re-read Brontë’s Jane Eyre. Still, despite knowing that all would come right in the end, I found myself spellbound. I was gripped with anxiety through all Rochester’s turmoil! His many trials and setbacks, one after another, and the series of wrenching discoveries that are not over until almost the last page of the book all made any happy ending seem wildly improbable, even though I already knew the ending! This, of course, was the author’s challenge from the beginning: since all who have read Brontë’s novel remember Jane’s closing, “Reader, I married him,” how can the story be retold in such a way as to create suspense? Simple. All the writer has to do is to create a story that will fully engage the reader from start to finish, as if what is happening on the page is happening in the very moment of (or the moment just before) the reading. That’s all. Simple! Simple??? Sarah Shoemaker does much more than imagine Rochester from the inside. She imagines and lays before us entire worlds, notably Mr. Lincoln’s school, the broadcloth mill, and life on the island of Jamaica. To be believable and keep us immersed in the story, these worlds must be historically accurate and, at the same time, come across as immediate experiences to readers, not as history lessons. Shoemaker succeeds on both counts. Then there are her original characters, individuals who people these other worlds of Rochester’s. You did not meet them in Jane Eyre, but you will not soon forget the boys Touch and Carrot at the school, Mr. Wilson at the mill and his motherly wife, the worker called Shap, and others. 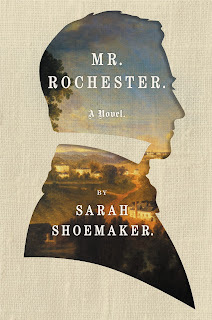 When Dog Ears Books hosts the party to launch Mr. Rochester and to celebrate author Sarah Shoemaker, it will be almost three years since I first gained entrance to this mesmerizing story. It was on the morning of June 1, 2014, that I read the last manuscript page, and since then I never doubted for a minute that this book would eventually be made available to a world audience. Now, the time is almost here! So mark your calendar! It’s Tuesday, May 9, and the time is 7 to 9 p.m. I’m giddy just thinking about it! What is "It"? Weather? Learning? History? Class? It was winter in Leelanau County, and then it was spring, unexpectedly and alarmingly early. The air was balmy, daffodils pushed up eagerly on Waukazoo Street, and ticks—ugh!—awoke from their hibernal slumbers. One of them found Sarah, and an assistant at the veterinary clinic said four other pet owners had called about ticks on their dogs already. Freedom from ticks is one of winter’s blessings, and the return of spring, while thrilling, also brings back dread and worry in the form of ticks. But outraged winter roared back, with fierce winds and nearly a foot of snow (to bury the ticks—yea!) and temperatures plunging down to the single digits overnight (so cold--boo!). The old folk saying, “It’s an ill wind that blows nobody good,” encapsulates the same truth as my philosophy of life in a nutshell: Everything is a double-edged sword, all blessing mixed, fortune a matter of perspective. But official spring is still two weeks off, and this is Michigan. Anything could happen. My first semester of college (never mind how long ago) was an exciting time, and as I thought this morning about books I’ve been reading the past couple of weeks, I was reminded of that thrilling earlier period of my life. Can I possibly reconstruct my class schedule? Rhetoric (a required freshman class); Voice and Articulation (for my speech and theatre major); an introductory class in Psychology; Botany (big mistake: I’d been aiming for horticulture but didn’t realize the difference; wanted to work with plants, not microscopes); University Choir—but choir was only one credit, so I’m still missing something big, because I carried 19.5 credits that semester. But of the classes I’ve remembered, what unites them? Not obvious, is it? Voice and Choir seem to go together, and Psychology might well work along with Rhetoric.... All these years later, the web of connections that I felt then, every day, has fallen into dust. All I can say is that all the learning, so much, was coming at me so fast, that it seemed to feed together like one big class. Oh, here’s one connection I just remembered. A certain school of thought believed emotions were causative and produced actions, while another argued that actions, based on judgments, themselves produced emotions! For example, I run away, and the running produces fear; the faster I run, the more afraid I become. That theory from psychology had clear and obvious potential for the stage and was itself, to one hearing it for the first time, excitingly new and strange and wonderful. How I managed to bring botanical insights into anything else back then, I cannot say now. Perhaps the connections I made were metaphorical. I’ve been known to do that sort of thing, once typing a book-length manuscript on welding, written by an engineer, and finding in it nothing but poetry about the successes and failures of love! This winter/spring, it has been Nancy Isenberg’s startling new perspective on American history that set the stage for cross-pollinating streams of book-induced thought, streams first beginning to interweave when, not yet at the end of her book, I began reading the new John James Audubon, by Gregory Nobles. Here are a few ways Isenberg’s focus on class in America transferred, for me, to the story of Audubon in America. First, there was the whole big question of what constituted science and who would be counted as a scientist. British and European intellectuals in general looked down on early pioneering knowledge efforts in the New World. The European establishment, proud of its focus on ideas and theory, denigrated American practicality. Americans, they thought, could never set aside questions of economic gain, and so the more abstract questions of science, abstractions that Europeans built into entire systems of thought, fell by the wayside. For their part, the Americans, insistent as they were on their intellectual independence, never felt their scientific reputations secure until they had been recognized in Europe. Europeans, then, backed by tradition and the leisure of old money, held themselves the “pure” scientists. Americans (Audubon was but one example), scrabbling for financial gain and intellectual recognition, were suspect by comparison. One nineteenth-century transatlantic argument in natural history was between Buffon in France and Wilson in America and concerned the mutability of species over time. Evolution and its direction. Buffon did not visit the New World but advanced a theory, nevertheless, that species degenerated in the American climate. Alexander Wilson (against whom Audubon continued to compete long after Wilson’s death) argued that Buffon’s theory flew in the face of facts, and even Thomas Jefferson got into that fray! Here I couldn’t help making the connection between what Buffon saw as “degeneracy” in America and the class distinctions and characterizations of “degeneracy” Americans themselves made against different groups in their own country, so carefully laid out in Isenberg’s history. Well, that was the theory/fact divide. On a much lower plane was the distinction made in nineteenth-century America between “gentlemen sportsmen” and “pot hunters,” a class distinction if ever there was one. As Audubon himself might kill thousands of birds in scientific pursuit, so the killing of birds for “sport” was judged pure and unobjectionable, regardless of the enormity of any particular slaughter—and slaughter it frequently was, with no limits to the killing established by law or admitted according to need. Birds were simply moving targets, and the greater the number killed, the more glory to the “sportsman” who brought them down. But a “pot hunter”? One who killed to feed himself and his family? To market the meat for gain, as a livelihood? Anathema! Motive, you see, was the dividing line, not numbers of birds killed; male bonding a gentlemanly motive for killing, making a living by killing beneath contempt. Audubon the American woodsman occupied a strange, anomalous position in the class history of the United States. When he traveled downriver by flatboat, paying his fare by shooting birds and game to provision passengers and crew, the term “pot hunter” clearly applied to him, and all his life, from one line of business to another, providing for his family was of paramount concern. On the other hand, both as an artist and as a scientist, he found doors open to him that would have been closed to others of his social rank—even if, in the best American upstart tradition, he did have to push some of those doors open himself. “Not our kind” (or "not our class, dear") is the vaguely worded, classically voiced objection signaling the speaker’s belief in his or her superiority. I started to type the phrase in quotes and missed a key the first time around: “not our kin” is the way it came out on the screen. There you are, I thought. Who will we count as part of the “family of man”? From Isenberg and Nobles, I turned to the fiction of Charlotte Brontë, re-reading Jane Eyre to prepare myself for Sarah Shoemaker’s new novel, Mr. Rochester, which I am now about halfway through, and again and again, in both, class distinctions come to the fore. But those observations can wait for another day. For now I only observe that the collecting of books is traditionally a leisure class pursuit, while the selling of them locates one clearly “in trade.” It is in this that I am perhaps most stubbornly American: I have always been proud of making my way in the world. Whether cleaning cabins, picking apples, or typing manuscripts, I've never been ashamed of working for a living. And bookselling has given me much more: through my bookstore, I've grown a life. From Whence This American Woodsman? John James Audubon: Who was he, and where did he come from, this frontier birdman with the French name? In his new book, John James Audubon: The Nature of the American Woodsman, author Gregory Nobles begins by probing the ambiguity of Audubon’s origins and goes on to tell a story of dogged self-invention and relentless determination on the part of the artist to achieve material as well as artistic success in the New World. With artists, it is often a question whether or not they are equipped to survive at all in the world of business. If they make the attempt, how they fare gives rise to new questions. The artist who fails in business is looked on as a hapless child, out of his element, while he who succeeds will often find himself branded a sellout. Then there is the matter of being self-taught versus academy-trained. And has it ever been possible for an artist to survive without wealthy, influential patrons? In life stories from the art world, there are few whose uphill path was smooth and easy. But how many, I wonder, flung themselves upstream as persistently as did John James Audubon? His challenges and setbacks would have broken most men, and as Nobles makes clear, there was more to those challenges than finding money to buy paints, more to the setbacks than losing a promised portrait commission. More than once, I found myself exclaiming out loud and tugging at my artist husband’s sleeve to read him a few pages. For example, in an 1811 partnership with his brother-in-law that Audubon undertook for the support of his new wife and infant son, the decision was made to expand their operations from a simple store to a steam-powered mill that would turn logs into boards for the construction boom then underway in Kentucky. It seemed like a good idea and one their little Ohio River community could use. But it turned out that the community did not need a mill as big as the one they built. The mill also could have been better built—and should have been built more quickly to take advantage of the need. Water proved more economical than steam for the operation of the mills that would survive when the discovery of good clay nearby prompted homebuilders to turn from lumber to bricks. In the face of the business failure, his brother-in-law departed the region and left Audubon holding the bag. Investment in a steamboat, Audubon’s next partnership, was no more successful. The partner absconded with the boat! When Audubon encountered him again, an altercation in the street turned physical and nearly landed the artist in jail. Incarceration, however, was held at bay until the Panic of 1819, when the Audubon family lost all their business holdings, home and furnishings, and still could not clear their debts. When Audubon went from Henderson to Louisville to try to clear up his financial situation, his creditors still hounded him, he was arrested for debt and put in jail, and he got out only by declaring bankruptcy. He left jail, he said, “keeping only the clothes I wore on that day, my original drawings, and my gun.” Those lat two possessions proved critical, soon becoming essential keys to his future. On the other hand, it was shocking to me to learn that with Audubon’s early material success, before the bankruptcy, he became a slave-owner. My mental picture was jarred, as Nobles intends it should be. More familiar and more in line with our received impressions of the man are the stretches of hardship he endured. When he leaves his wife behind to support their children by teaching and goes downriver on a flatboat in 1820 with a young companion, paying his way by shooting game to feed the boat’s passengers, fretting in his diary about money all the way along but also finding time to glory in the birds he saw and shot and drew—this is closer to the frontiersman artist we recognize. Of course, Audubon’s “Great Work,” as he referred to it long before its completion, necessitated a return to civilization, a search for patrons, lengthy negotiations with all kinds of businessmen and artisans, and careful business planning. The number and variety of skilled participants required by the work is staggering, and Audubon did not leave its supervision to anyone but himself. That this famous artist had high standards for the reproduction of his drawings will surprise no one. The production details are fascinating. The main theme of Nobles’s John James Audubon, however, is that of self-invention, and that is where a new portrait of the artist appears. What elements of Audubon’s life does the artist himself stress? What is omitted? What embroidered? To what end? And, finally, how successful was the mythical self the artist projected? We in Northport, Michigan, are in luck: Gregory Nobles and his wife have a vacation home in our midst, and the author will present a talk on his Audubon research findings this summer at Dog Ears Books. The date (sometime in July or August) has not yet been set, but I will happily take orders ahead of time for a book—and author—that our bird-loving and history-conscious community will not want to miss.